Dentist Specials. Los Angeles Dentist, 90048 CA. 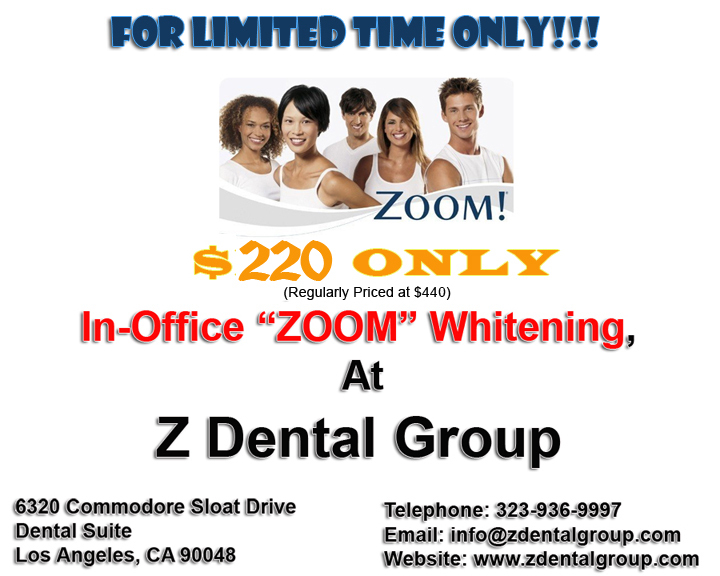 Z Dental Group is a Cosmetic and Implant, Green Dentist near Beverly Hills, California. Call 323-936-9997 for appointments, or fill in our dental appointment form online. Not valid in conjuction with any other specials or offers. No actual cash value. Redeemable only at Z Dental Group. All specials are subject to change without prior notice.